Basic custom imprint setup & PDF proof included! 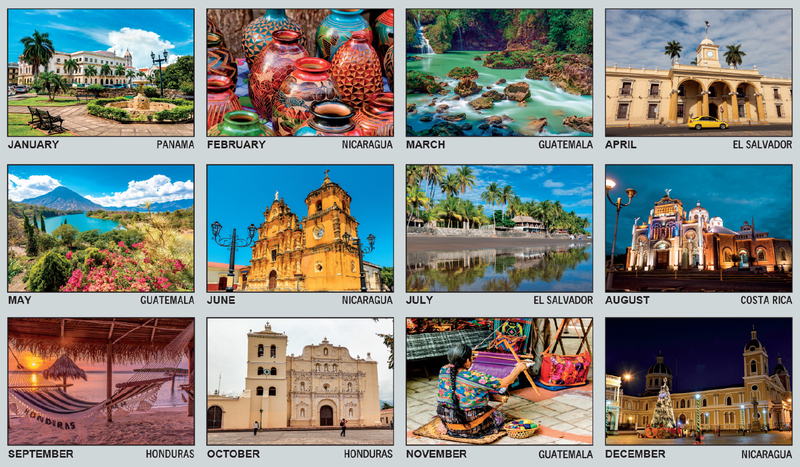 This 12-month Spanish advertising calendar travels through this diverse region to explore the extraordinary treasures each Central American country has to offer. 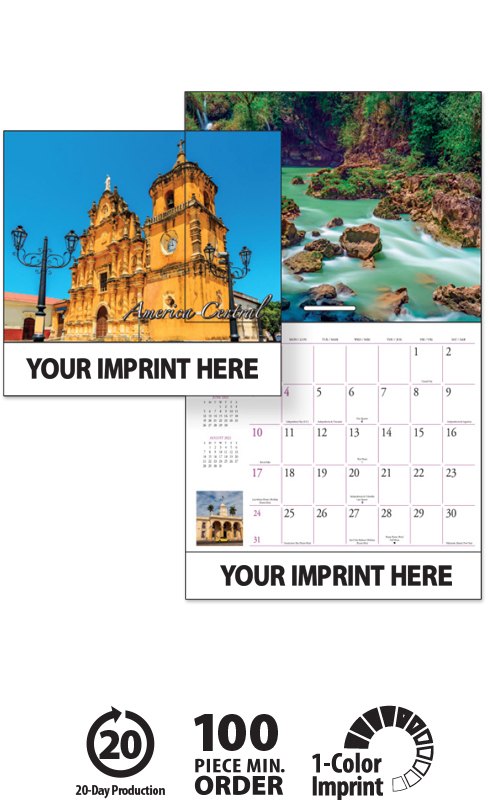 This promotional wall calendar features three languages (English, Spanish and French) all printed on each date grid. 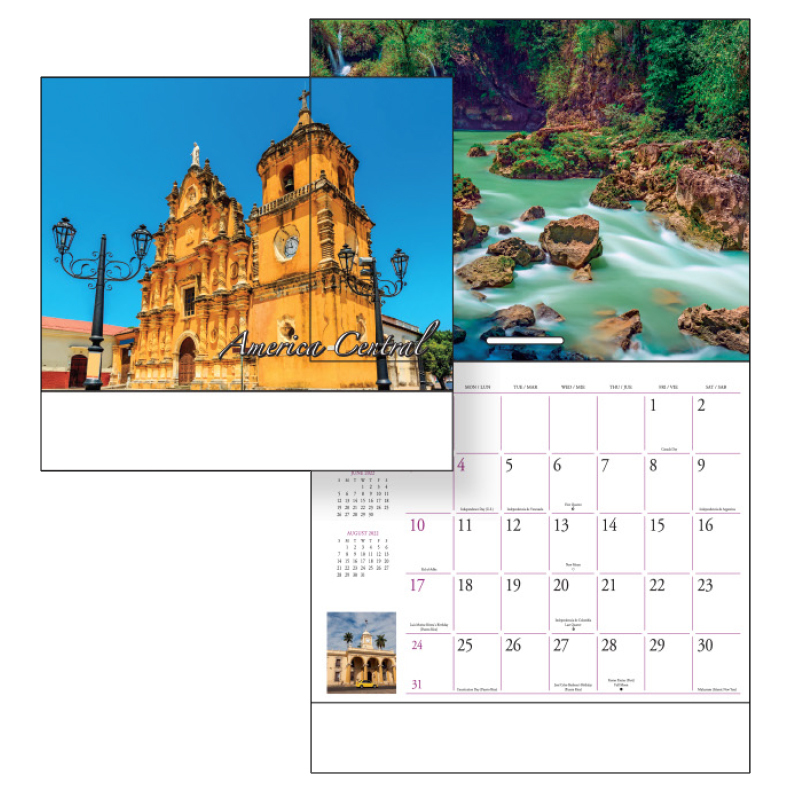 These high-quality Promotional Central America Calendars will proudly display your message for the entire year!